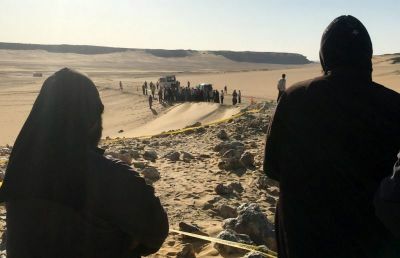 According to a chaplain, Friday's massacre of 29 Coptic Christians who were on their way to a monastery in Egypt occurred after Islamic radicals marched them off the bus one by one and asked them to deny their faith in Jesus Christ. A priest identified as Father Rashed, a chaplain for one of the groups comforting the survivors of the attack, said in an article in Breitbart News on Sunday that 10 masked Islamic State militants did not simply open fire on the bus on its way to the Monastery of Saint Samuel the Confessor. Rashed explained that the victims "were asked to renounce their Christian faith and profess belief in Islam, but all of them — even the children — refused. Each was killed in cold blood with a gunshot to the head or the throat." 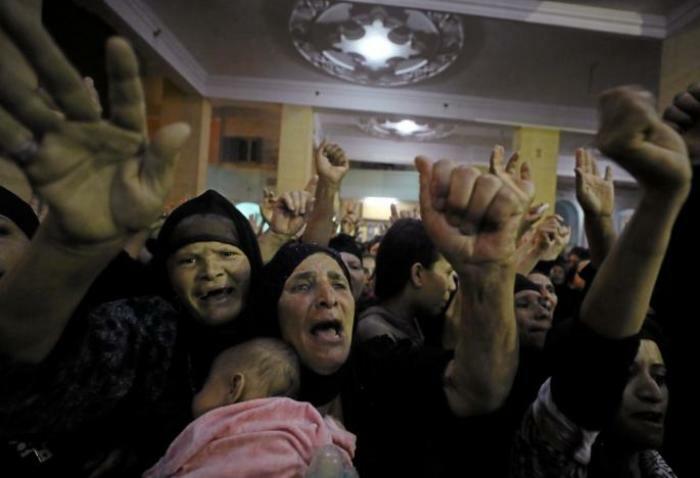 Friday's attack, at the start of the Islamic holy month of Ramadan, was another devastating blow to Egypt's minority Copts, who in the past year have suffered a number of massacres at the hands of radicals, including Palm Sunday church bombings that killed 46 believers. The Coptic church has warned that despite the government's efforts, however, IS radicals, who on Saturday took responsibility for the slaughter, "damage Egypt's image and cause Egyptians a great deal of pain." The Vatican's Pope Francis also highlighted in his speech at St. Peter's Square on Sunday that the Christians were killed specifically for their faith. "The victims, amongst which were also children, were killed after having refused to renounce their Christian faith," the Roman Catholic Church leader said. The pontiff, who visited Egypt last month and called for peace, prayed that God "may welcome these courageous witnesses, these martyrs, in his peace and convert the hearts of the terrorists." U.S. President Donald Trump, who in his election campaign vowed to eradicate IS, condemned on Friday the "merciless slaughter of Christians in Egypt," which he said "tears at our hearts and grieves our souls." "Wherever innocent blood is spilled, a wound is inflicted upon humanity," Trump's statement read. "But this attack also steels our resolve to bring nations together for the righteous purpose of crushing the evil organizations of terror, and exposing their depraved, twisted, and thuggish ideology." IS has been killing Christians specifically for their faith throughout Egypt, Iraq and Syria. Islamists have murdered Christians for refusing to deny their faith in Jesus on numerous occasions. One Christian pastor from Syria, identified as Pastor Edward, told The Christian Post earlier this year that the country is getting "torn apart," with evil "all around us." "There was a man named George who chose not to be hidden by his Muslim neighbor when extremists came looking for Christians. He told his mother Jesus said, 'If you deny me I will deny you.' And he was killed. His mother was not even allowed to bury his body," Edward recalled.